Humans – certainly in industrialized consumer-driven economies – produce a lot of garbage and waste a lot of food and other useful materials, many of which, e.g. plastics, nature has never seen before and doesn’t have any way of efficiently recycling and rendering harmless. Cities have been trying to boost recycling programs for decades with mixed results. More recently, both municipalities and corporations have been producing biogas from landfills. Covanta has been at the forefront of zero waste and Energy From Waste (EFW) technological advances, capitalizing on the confluence of sustainability and clean energy trends. Demand for the company’s ¨green¨ technology and services is surging among corporations who have launched ¨zero waste to landfill programs,¨ according to management. 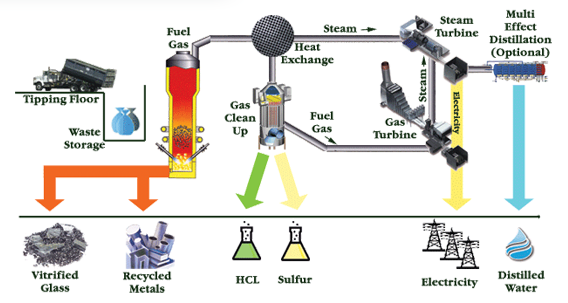 That, in turn, is fueling heat and power generation from Energy From Waste systems. Energy From Waste systems are a largely untapped resource in the rapidly evolving clean energy microgrid market space. San Diego startup Interra Energy is advancing towards a system of distributed biomass reactors in California. But to be useful on microgrids, waste to energy plants will have to shift from supplying baseload power to supply a flexible, ramping service that can compensate for solar and wind variability. Such flexibility may only be achievable with energy storage. In the meantime, a growing number of large U.S. corporations, as well as municipalities, have been turning to resource recovery and EfW technology and systems such as Covanta’s to help them achieve the ¨zero waste to landfill¨ and emissions reductions goals set out in strategic sustainability programs. Typically, these are initiated along with educational outreach campaigns based on the four R’s: Reduce, Recover, Reuse and Recycle that extend from employees to include supply chain partners. For example, sustainable industrial waste recovery and EfW technology is being used by Ford, Miller Coors, Subaru and Unilever. Unilever’s ¨zero waste to landfill¨ program has been a tremendous success, Unilever’s chief supply chain officer explained in a recent interview, evolving from a from a cost-cutting initiative to a profit center in its own right . Unilever’s ¨zero waste to landfill¨ program has expanded to encompass 600 sites in 70 countries. Working with a broad-based group of partners, implementation of Unilever’s resulting ¨zero waste to landfill¨ business model has reduced costs in the multinational consumer products manufacturing network more than 200 million euros ($220mm) and indirectly resulted in the creation of hundreds of local jobs in local communities, Pier Luigi Sigismondi highlighted. The City of Indianapolis serves as another illustration of how ¨green¨ technology and systems are turning waste into heat and electrical energy while reducing waste, emissions, pollution and operating budgets for critical public services. 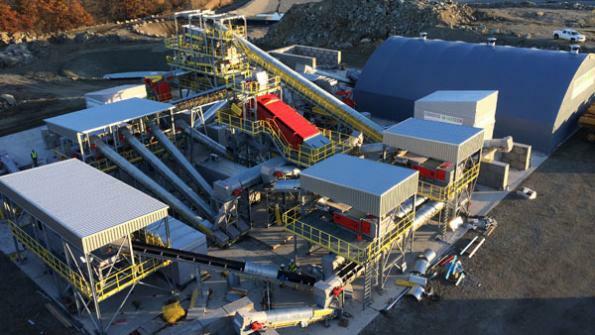 Achieving unprecedented recycling program participation rates, the municipal solid waste-fired combustors at the Indianapolis Resource Recovery Facility processes some 2,175 tons per day of solid waste to produce no less than 4,500 pounds of steam sold per ton. The steam is purchased by Citizens Thermal Energy (CTE) to power a downtown heating loop that includes all area businesses, Indiana University, Purdue’s Indianapolis campus and Eli Lilly’s manufacturing facility, the largest pharmaceutical plant in the area. Released February 18, Covanta’s latest annual corporate sustainability report highlights how the company is embracing sustainability internally, as well as helping corporations and municipalities use what once was left to decay in landfills, ground, soil, waterways and oceans to recover and recycle materials, reduce emissions and improve financial performance. – Implemented new water conservation projects, including a new water filter plant at the Delaware Valley facility that reuses 1.3 million gallons per day of effluent water from a nearby treatment plant.